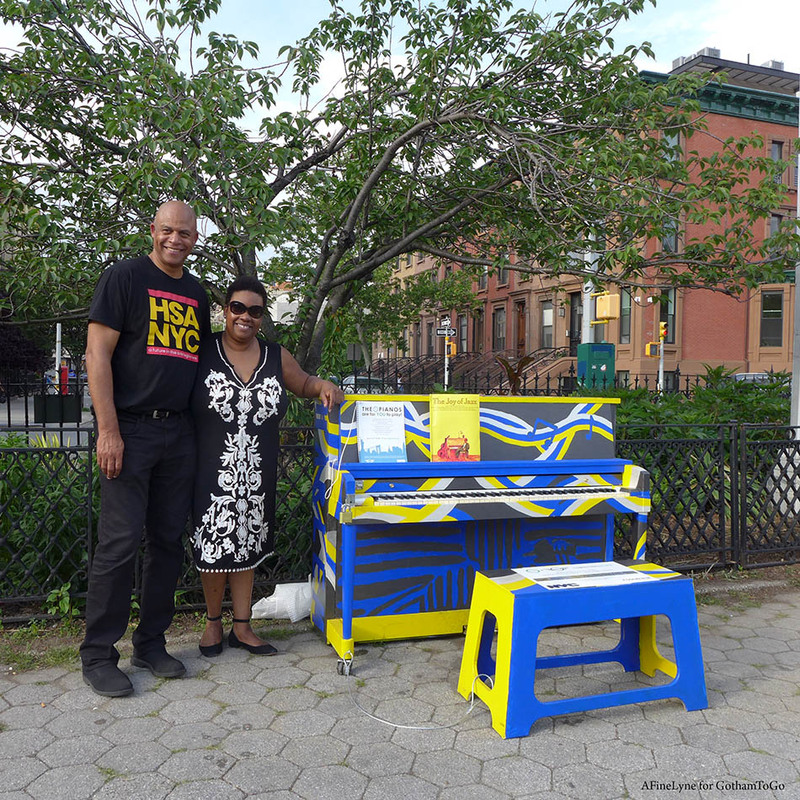 Standing next to the piano that was painted by Harlem School of the Arts is Eric Pryor, President ~ Harlem School of the Arts and Yolanda Wyns, Director of Music at the school. 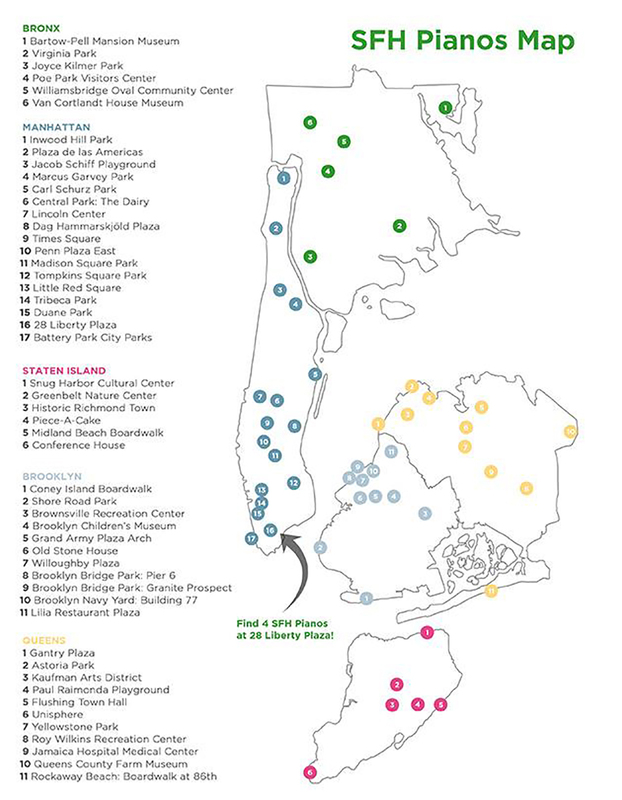 The Sing for Hope Piano locations in Harlem will be Central Park Dairy, and Marcus Garvey Park. 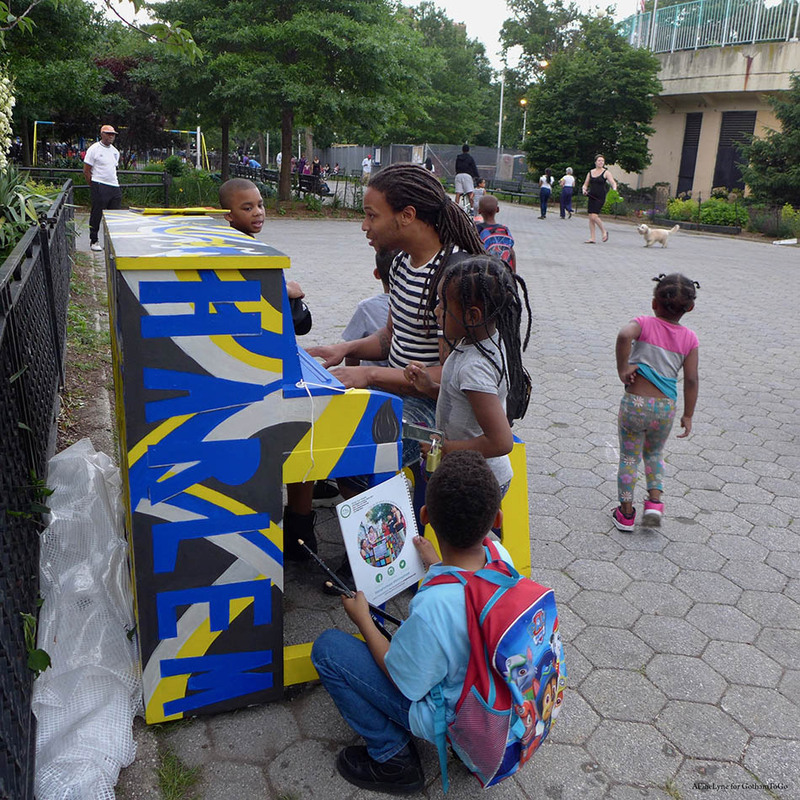 At the Marcus Garvey Park ‘Sing for Hope’ Piano, Harlem School of the Arts gave a pop-up performance on Saturday, June 9th. The Dorothy Mayor Singers under the direction of HSA Music Director Yolanda Wyns, 25 members from ages 12-17 performed a wide range of choral music from classical to gospel to spirituals to folk. Among those enjoying the music ~ Eric Pryor, President of Harlem School of the Arts (pic’s below). 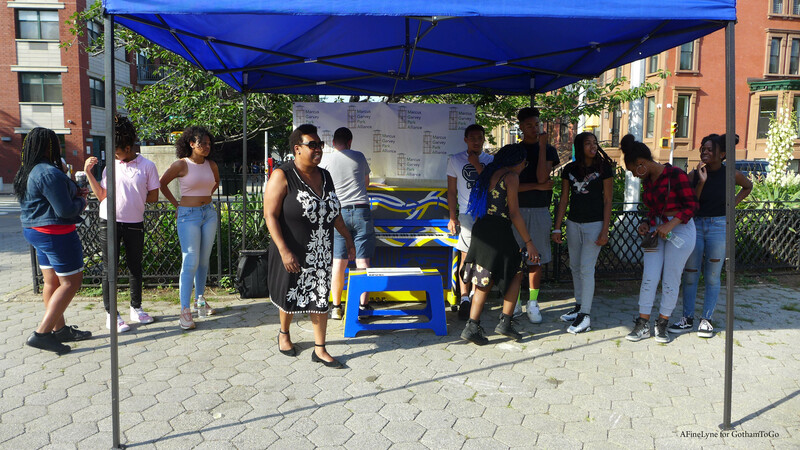 Performance coordinated by the Marcus Garvey Park Alliance, Public Art Initiative. Included on this page are additional photos of the community enjoying this annual installation. 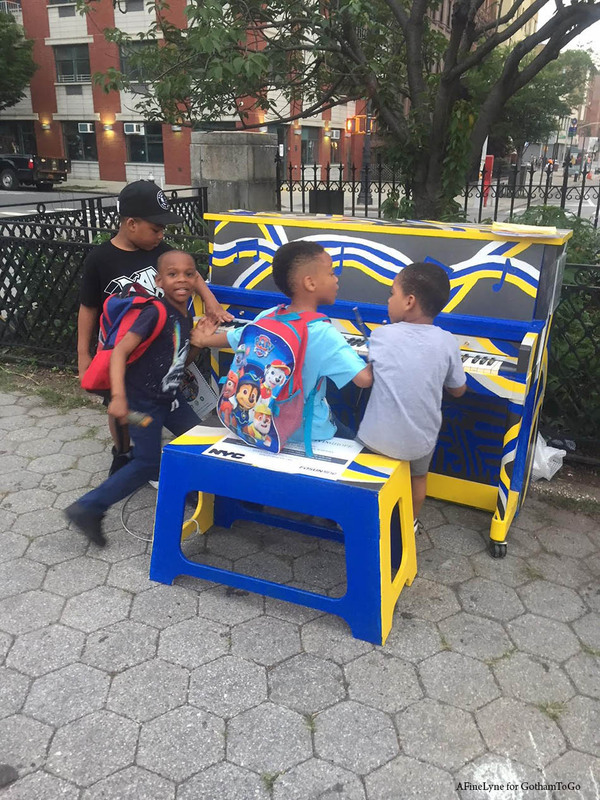 The 50 piano’s will begin their journey to their destinations on June 4th and will entertain New Yorkers through June 24th. Here are a few pictures of the 2018 piano’s getting ready for the big event!